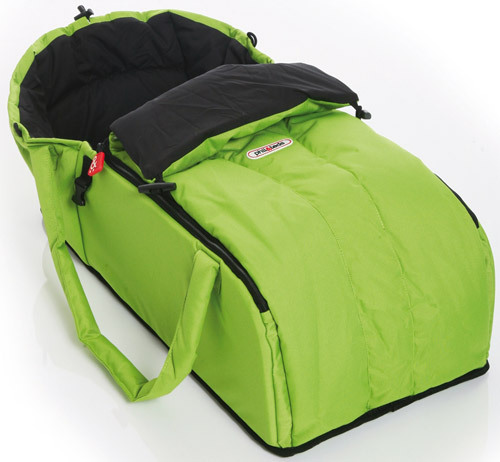 The Phil and Teds Cocoon is an ultra lightweight carry cot and buggy bed in one. Attach this Phil and Teds cocoon to your phil&teds classic, sport, explorer, or hammerhead buggy, and you've got yourself the perfect classic pram. 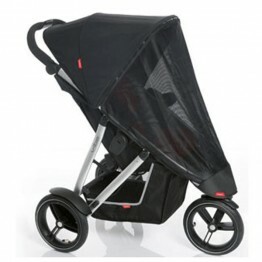 In addition to the previously mentioned phil&teds strollers, this cocoon is also compatible with the phil&teds e3 buggy (version 2). The phil&teds cocoon is for use with infants up to 6 months. Carry your little cocoon with ease thanks to the two strong, padded carry handles. Lift the phil&teds cocoon in and out of your phil&teds stroller without waking baby for uninterrupted snooze and cruise capabilities. The draw cord toggle keeps your bug snugly inside, and the full length zipper makes for easy access. The phil&teds cocoon only weighs 2.7 lbs, but don't be fooled - the soft and cushy base is super sturdy and can hold up to 20 lbs. 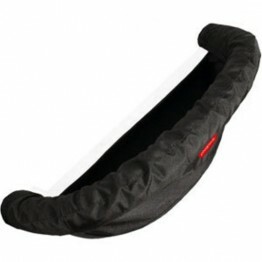 The cocoon is made with a wipe clean material, and has a washable seat pad. 23" x 11.8" x 7.8"